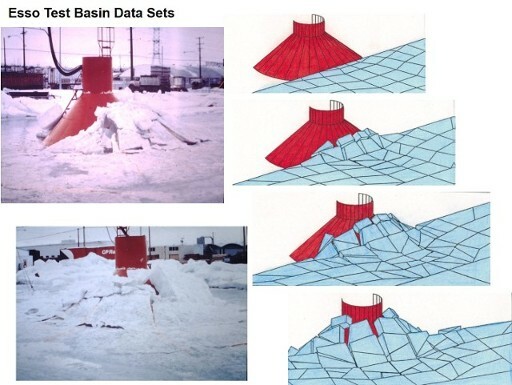 GeoSierra personnel developed the original discrete element simulation codes CICE and DECICE in the early 1980's,that were validated against Esso Test Basin data, Hans Island Impact data sets, and Polar Sea and Polar Star Icebreaker Transit data sets, as well as additional data on floating structures and submerged vessels interacting with sea ice. 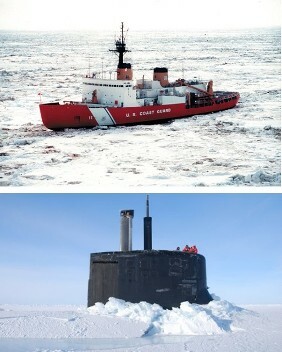 Numerous AOGA projects were conducted in the early to mid 1980's. A list of earlier available publications is provided here. Search the web for publications by others relating to CICE and DECICE. 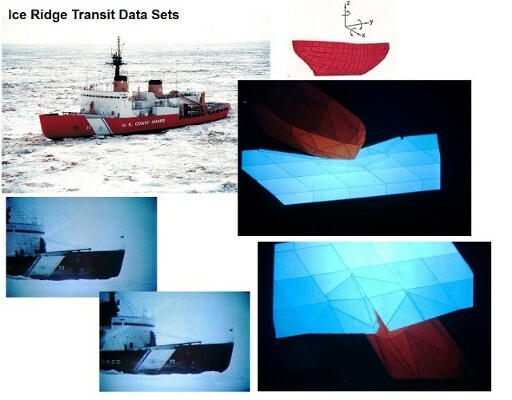 Third generation simulation codes have now been developed, which have significant enhanced capabilities, features and parallel execution for simulating ice interaction on offshore structures, floating vessels, pipelines and subsea completions in arctic waters. 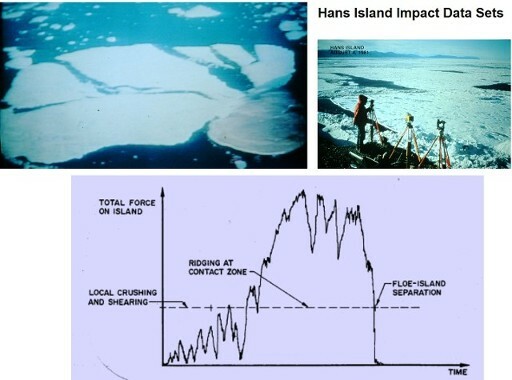 These codes include all of the fracturing and deformational characteristics to model the impact of sea ice and icebergs, plus include fluid (water and wind) interaction with the ice and structure, as well as foundation interaction with the seabed for both gravity based and tethered floating structures and ice sour of the seabed. Ice loading induced liquefaction of the seabed can now be modeled directly by the new codes, since these features are integrally coupled in the simulation. Empirical coefficients for added mass of fluids are no longer input, since these interactions are now computed directly in the code as fluid particles impacting the ice and/or structure. 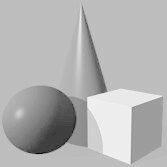 In fact, many of the empirical continuum representations of behavior are now modeled on a particle scale, and thus provide a more fundamental understanding of the phenomena and processes involved. The entire suite of codes encompass a wide range of simulation capabilities, so only those modules required are loaded for a particular application, and it is only then, that the codes are intended for general purpose use. In deciding what modules are loaded, a knowledge wizard provides guidance for those users unfamiliar with the code suite.